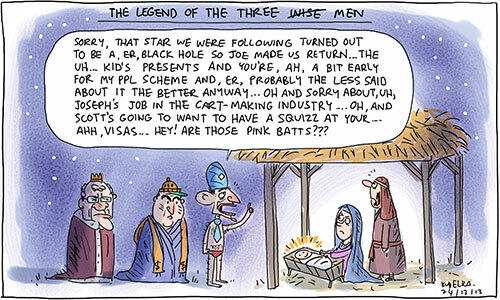 Posted in political cartoons, The Australian and tagged abbott, christmas, hockey, morrison, wise men. Not Wise, and certainly not a Christmas fairy . . .